This last week seems to have flown by! We have had a real mixture of weather this week which has meant that the twins have not had as much outdoor time as they have been. But we have still been busy! To some this may not seem like a big deal, but for us it is. On Monday I cleared the kitchen table and had a move around. 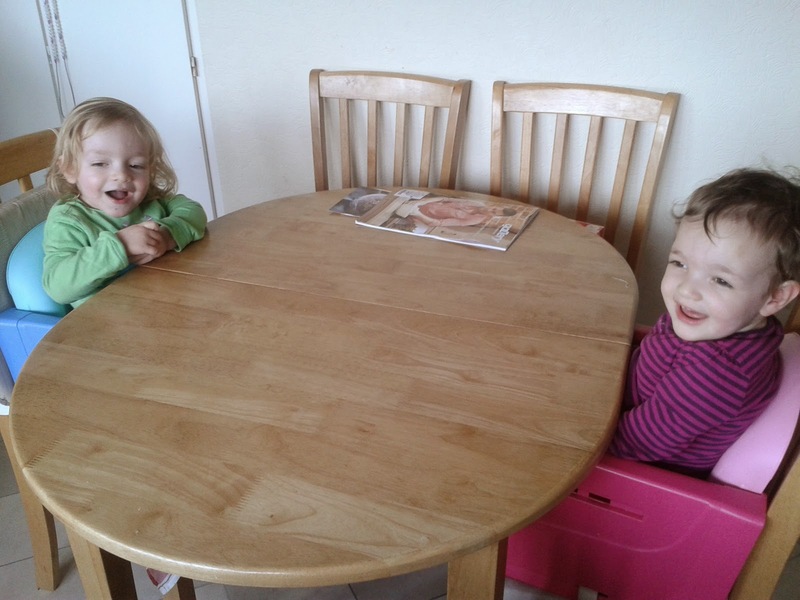 My goal was for us to start using the table as a dining table and not a dumping ground. 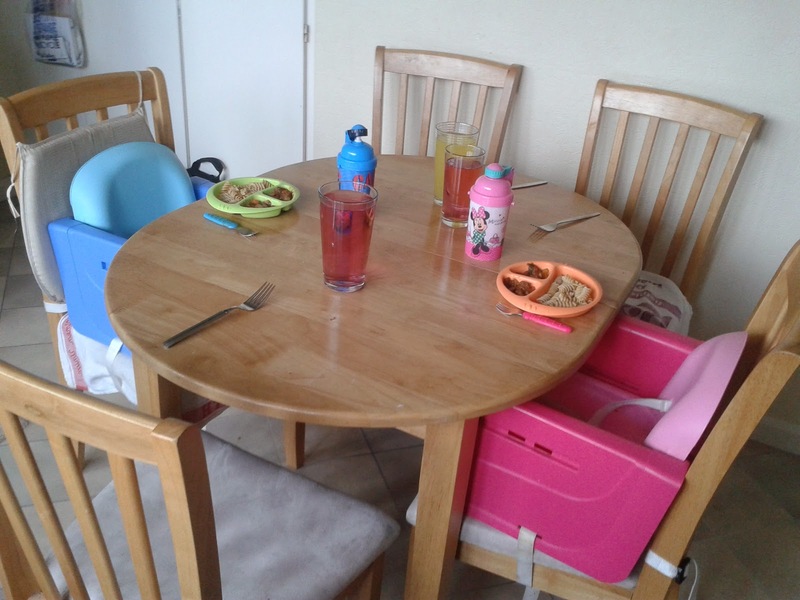 When the twins were smaller we tried to all sit down for our evening meal together but it was so difficult. Now they are bigger I decided that we would try again. I am a believer in families eating together and I enjoy that time together. On Monday we tried it, and I am delighted to say that it was a huge success with everybody. Joseph had a grin that spread from ear to ear when I told him that we would be eating together again. Even the twins thought it was great and ate better. They have tried more foods and want the same as us. This has carried on and will stay like this as it is a time that we all enjoy together as a family. Tuesday was a cold and dreary day so we didn't really get up to much apart from pottering around the house and playing. However I am enjoying having our evening meal a little earlier and together as it means I have more time to prepare the meal, if that makes sense. Normally I'd wait and cook while the twins ate and would end up rushing. But now I have to make it earlier I start in the afternoon and can take my time. On Tuesday I enjoyed experimenting with a new recipe Pearl Barley Risotto I really was not sure if the twins would like the new textures but was pleased when they ate it and wanted more! 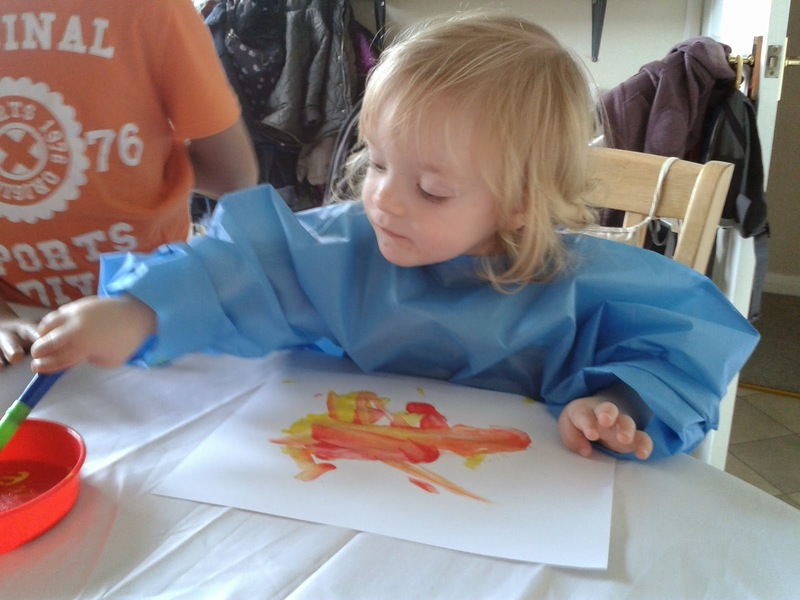 On Wednesday I decided that it was about time I let the twins loose on the paints! This is an activity that I have been wanting to do with them for a while now. When I went out at the beginning of the week I bought a painting set. As soon as I told the twins that we were going to paint they got all excited. They couldn't wait to get started! 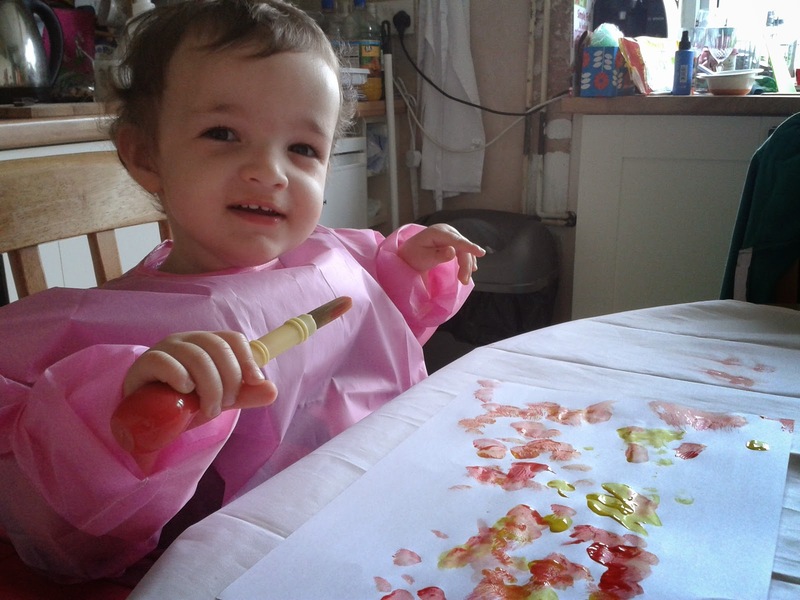 We are certainly going to be painting more often. Thursday was another day of "first times". 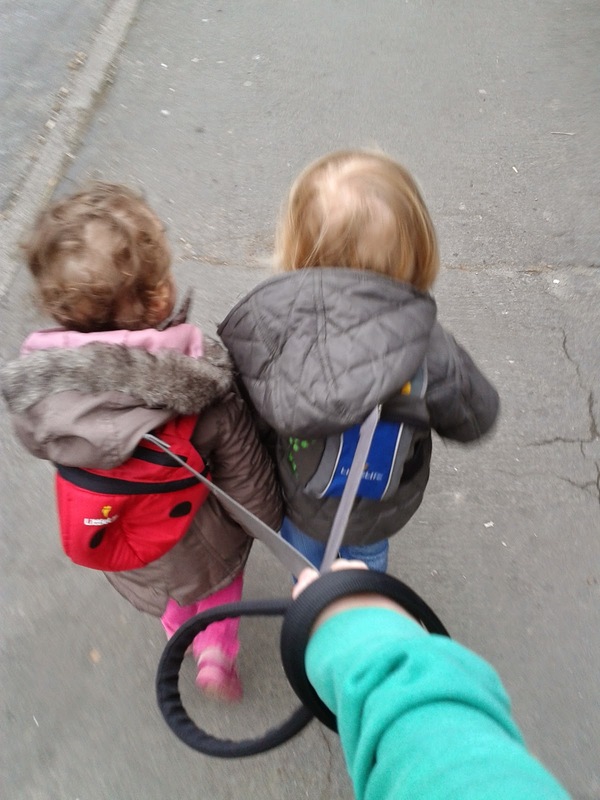 I decided to let the twins walk while we went out. Usually, when I am on my own, I put them in the pushchair. However where I had to go I knew that the double stroller that I keep in the car would not fit through the door. I saw this as a perfect opportunity to let the twins have a walk with their back pack reigns on. I was astounded by how well they walked. They stayed next to each other and were so good. I did have visions of one going one way, the other running round me, the reigns getting tangled, I really did not know what to expect. They did me proud, bless them! Friday was a day that I have been looking forward to! On Friday we visited the Cake and Bake Show in Manchester. We had an amazing day, it was a foodies dream show! 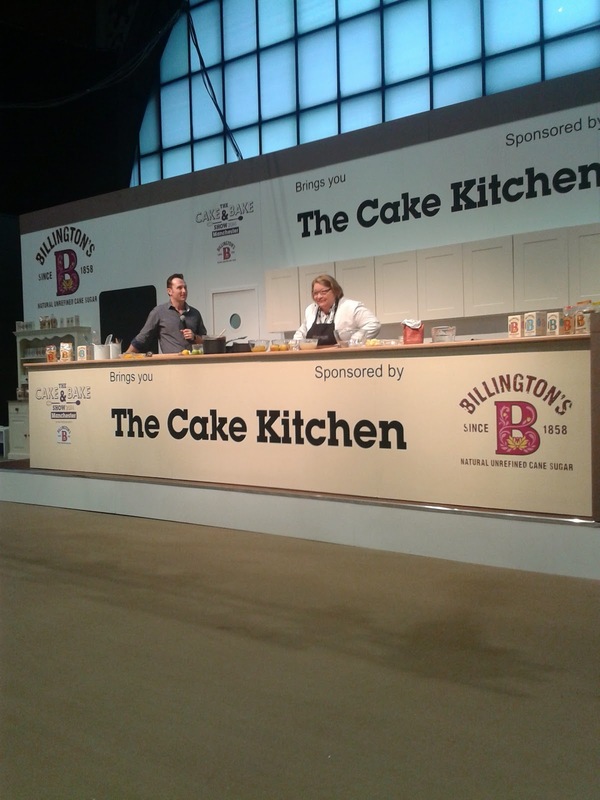 I saw the lovely Rosemary Shrager and other top bakers. It was a brilliant day and I will certainly be returning next year! Joseph has also finished school for the Easter holidays, so he'll be enjoying just over 2 weeks off! On Saturday we were exhausted after a bad night so spend the day at home and in the garden. The twins have recently discovered that they can scream! Here I had the pleasure of listening to them trying to out scream each other! The twins got some toy boxes for Christmas that they loved to stand on to look out of the window, however they were not the good quality that we had originally thought and one broke yesterday. This morning we had a ride out and bought a new box. I just love this box, it is a great size for the kids toys, it won't break when they climb on it and it look stylish! i saw some of your photos from the cake show and it looked amazing - i expect it was very tiring though. The toy box is really pretty. We have tried to use the dining table more but it always becomes a dumping ground. What a great week of progress - I am trying to get confidence to use the reins for our younger one and we certainly wish we could sit together at our table more..super photos! 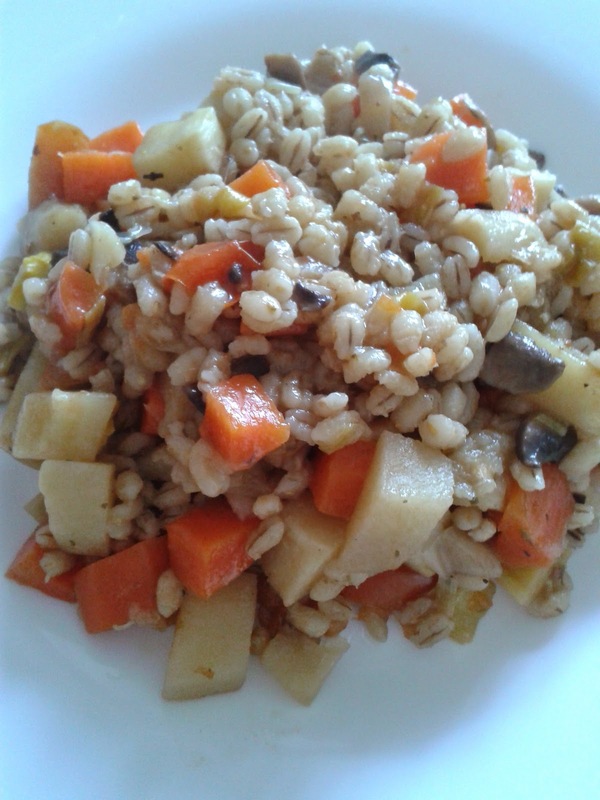 I love pearl barley, have to admit though never tried risotto with it, thanks for the idea. AAhhh the screaming stage, that is bad enough with one baby let alone 2. Well done on braving the reigns. I remember years ago a woman we use to see in Edinburgh who had 3 sets of twins, maybe 2,3,and 4 ish when we first saw her who had them all on reigns, the smallest at the front and the biggest at the back and they seemed to walk along so nicely, its amazing what kids will do. Pearl barley risotto sounds delicious! The photo of your two with the reins takes me right back a few years.. I have several stories of twin rein tangles!! 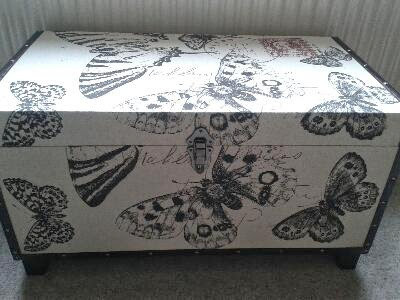 I really love that toy box - but I love butterflies! Eating at the table is really important to me - I try to make sure that we do it all together at least once a week, but generally twice a week. It's nice to all talk and D always eats more when we do it. I'm also interested by the pearl barley risotto - not something we've tried.